Designation for the propagation result of vines (or other plants) and / or for the necessary previously buried in the ground shoot, Synonyms include turn-off, offshoot, depositor, Fächsling, booster, dog, marble, newcomer, nickling and tail vine. The ancient method was already used by Roman wine writers Columella (1st century AD). Before the phylloxera this was a commonly practiced form of vegetative propagation of vines, especially in dry locations. 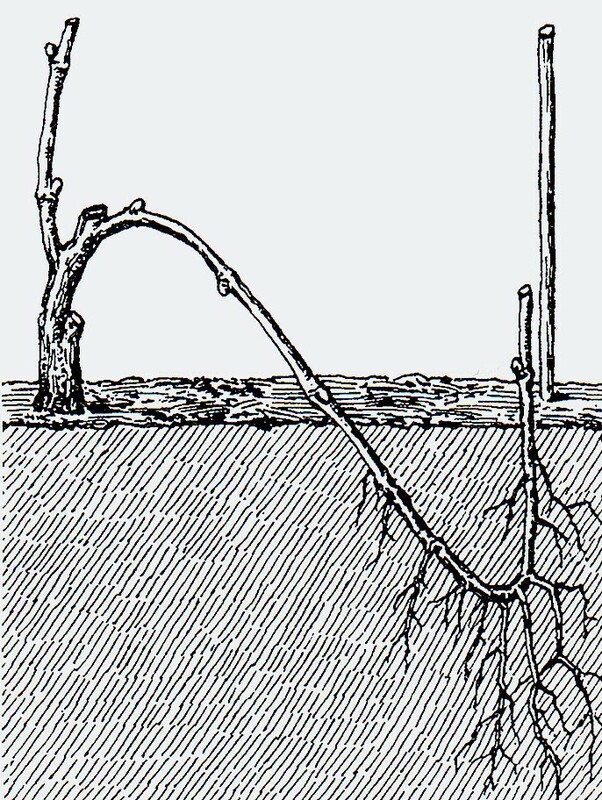 A long shoot of a vine is lowered to the ground and buried at normal planting depth. The tip is bent up and guided back up. This practice is also referred to as turning, cuddling or marrowing (French marchottage). The result is a genetically 100% identical vine (a clone ), which remains connected with the mother plant until it has struck its own roots and established itself at the new location. The advantage of this method is that even in summer drought, young vines are still supplied by the more deeply rooted parent stock and the establishment success compared to cuttings is much higher. The disadvantage is that the radius is very limited by the length of the rods and can not be used for areal new plants. But it is well suited to the gap planting or rejuvenation of aging vines in a stock. However, it is (assuming that the mother vine was refined), the phylloxera lost, because the new vine is ungrafted, So it's one finishing required. This page was last modified at 11 April 2019 at 13:03.